Premiership basement club Institute have suffered another blow after goalkeeper Saul Deeney quit the club only a couple of weeks after joining the Drumahoe outfit. Deeney, 31, has opted to accept a coaching role with one of his former English clubs Notts County. The injury-plagued keeper believes that the coaching position is a better career option for him at this point. Deeney has been forced to undergo seven operations in recent seasons. 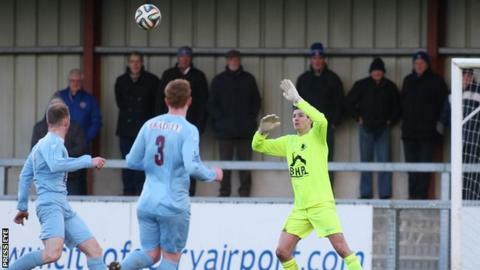 The keeper played in Saturday's 2-0 home defeat by Coleraine, which left Paul Kee's side four points adrift at the bottom of the table.